How much is Nicolas Puech Worth? Nicolas Puech Net Worth: Nicolas Puech is a Swiss businessman who has a net worth of $2.1 billion. 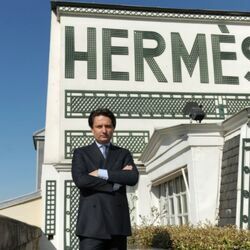 Nicolas Puech is a fifth-generation descendant of the Hermes dynasty which is regarded to be one of the leading manufacturers of lifestyle products in Europe. Nicolas Puech, who made his beginnings as a saddle manufacturer, now generates over $5 billion (3.75 billion euros) in revenue through posh products ranging from clothing and perfumes to accessories and all kinds of leather goods. Puech was first appointed to the Hermès supervisory board in 2012, and to date has acquired just fewer than 6% of the company.